Professional football management, particularly at the highest levels, is a results-based industry in which chronic insecurity, vulnerability, rejection and a psychological fear of failure are prominent characteristics of managers’ daily lives. Considering the celebrity-like status of the professional football manager, surprisingly little is known about how they perform their role within the inner workings of the football industry. 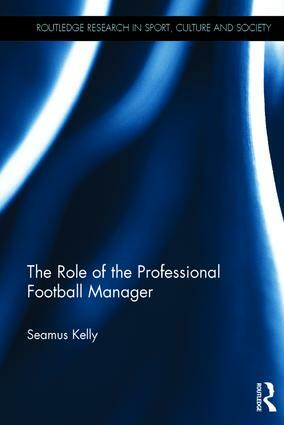 In this seminar Dr Seamus Kelly, drawing on research from his book The Role of the Contemporary Professional Football Manager, attempts to shed light into the world of the contemporary professional football manager. Drawing on original research, Dr Kelly explores the complex challenges and skills of the football manager in an increasingly commercialised industry. Before academic life Dr Kelly was a professional footballer. His book examines how personal contact networks and the social mobility of different actors within the industry influence various elements of the manager’s role. In this seminar he will also examine key aspects of the manager’s role such as the recruitment and appointment of players and how they maintain successful working relationships with agents, club directors and owners. Dr Seamus Kelly is Director of the UCD (University College Dublin) Centre for Sports Studies and Head of Subject in Sport Management. He holds BComm (1996), MBS (2001) and PhD (2010) degrees from UCD. Dr Kelly is a member of several scientific review panels such as EASM, Journal of Sport Management, European Sport Management Quarterly, Management Decision and Sport in Society. Dr Kelly consults with numerous Irish & UK sports organisations such as National Governing Bodies and Associations and clubs on the application of many aspects of this research. He is a qualitative researcher with considerable experience exploring many aspects of management in professional soccer including organisational culture, leadership and interpersonal trust. His current research examines aspects of football management and player development with professional soccer players in the UK & Ireland. Kelly, S (2017). The Role of the Contemporary Professional Football Manager. Routledge. Kelly, S. (2014). The Migration of Irish Professional Soccer Players. In Harris, J. & Maguire, J. (Eds.). Football and Migration: Perspectives, Places, Players. London: Routledge.